After a brief stop in Houston to see one of my best friends, catch an Astros game and visit the Holocaust museum (an extremely odd triad, I admit), Spencer and I continued on our tour de Texas to San Antonio. Since our visit was during the NBA playoffs, we were invading enemy territory. As much as I appreciate shoe-related mascots (alternate name options were the stilettos, the espadrilles and the clogs), as a die-hard Miami HEAT fan, I felt obliged to dislike the entire city and its people. Fortunately for San Antonio, we found a place that served "Super Tacos," and all was forgiven. A super taco is like a regular taco on steroids. Everything really is bigger in Texas. 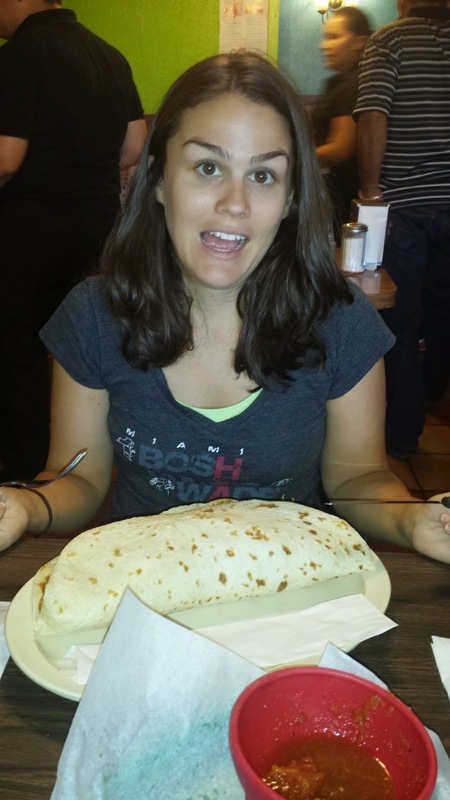 Not my most flattering shot, but the world must pay witness to the majesty of the Super Taco. 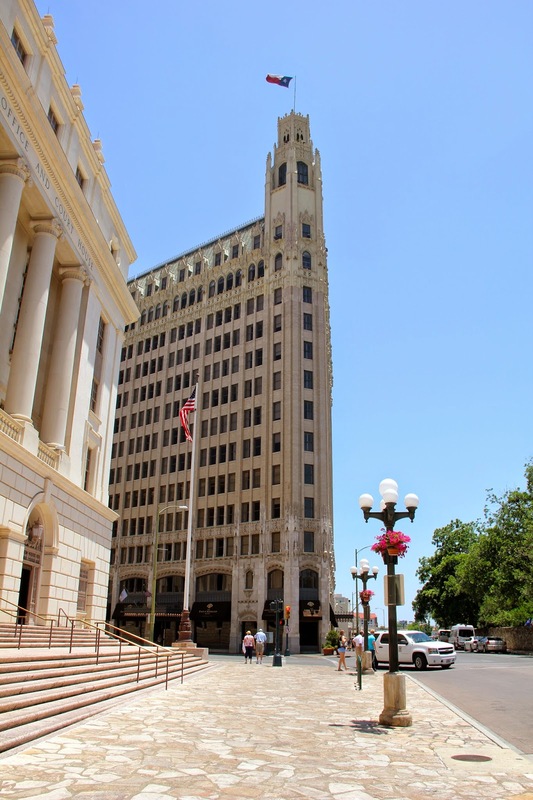 Not only does San Antonio have Super Tacos, it has a mission-turned-military fortress-turned-historical-monument known as the Alamo. An estimated gazillion tourists flock to this tiny chapel and its manicured grounds every day. Built in the 1700s, the Alamo was used to aid the conversion of Native Americans to Christianity by the Spanish. But the Alamo is best known for its namesake battle, in which Texas colonists fought for their independence against Mexico during the Texas Revolution. The Mexican army's siege on the Alamo left all, or nearly all, of the Texian soldiers dead. However -- proof that you learn more from your failures than your success -- the Texians were reinvigorated by the horrible defeat. Following the Battle of San Jacinto, the Texians defeated the Mexicans and gained a new identity as the Republic of Texas. Although Texian independence lasted only 9 years before the United States annexed the republic in 1845. In the amphitheater in front of the Alamo, we caught a performance by the United States Navy Band, singing upbeat American rock classics like Sytx. They politely ignored my requests for another American musical trailblazer, Lil Wayne. Aside from the Alamo, San Antonio might be best known for its river walk lined with restaurants, bars and shops. One of our meal highlights, aside from super tacos, was stopping for a pint and a bite at The Esquire Tavern. Not only does it have a beautiful patio location along the river, but it boasts being the oldest bar on the river walk, established in 1933. The tacos con papas and the jalapeño bean burger, along with a blonde ale from Branchline Brewing Company were a few of our favorites. After refueling, we continued on our journey to see the other missions scattered around San Antonio. Our next stop was Mission Espada, which was the first mission established in Texas in 1690. 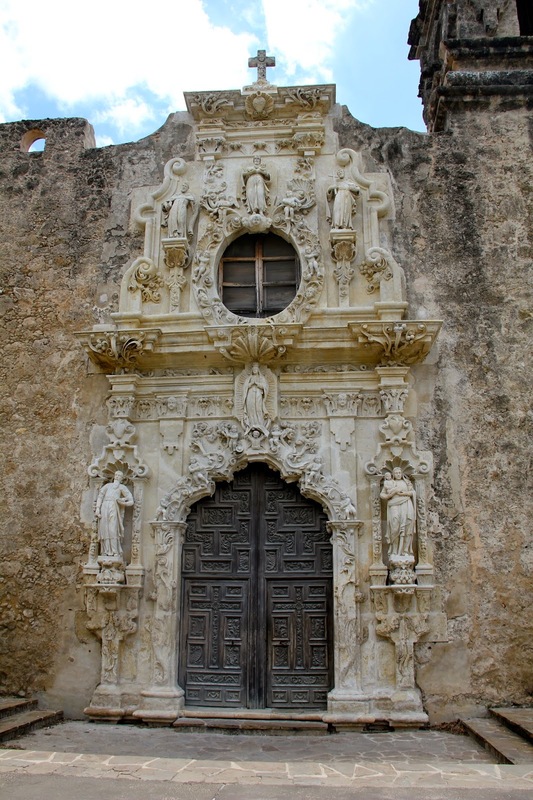 In 1731, the mission was moved to its present location near San Antonio. This chapel is closed to the public for restoration efforts. 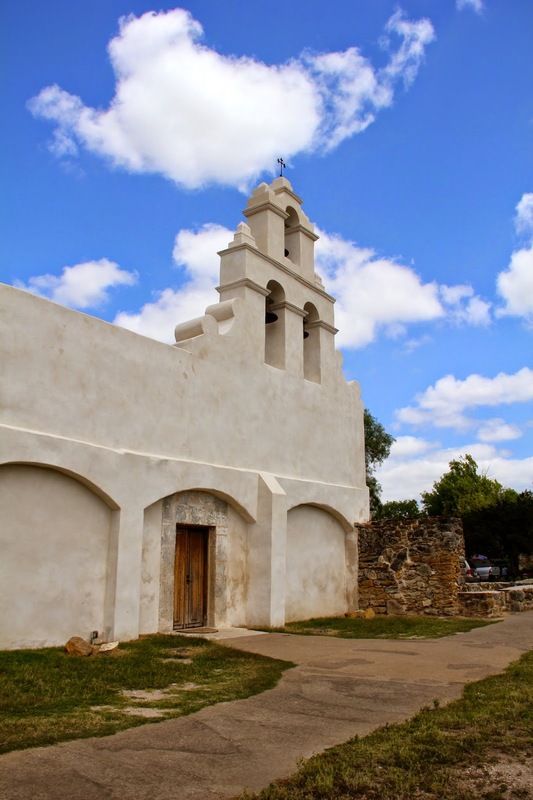 Our next destination along the mission trail was Mission San Juan, known for its fertile farmlands that led it to become a local supplier of agricultural produce. It's surprising to realize that most of the missions are still used for present-day church services. We actually interrupted a Sunday service here when we opened the doors to the chapel. Thankfully, Jesus forgives. A monk peeled off on this scooter screaming, "I've got the grace of God!" Just kidding. Our final stop was Mission San Jose, called the "Queen of the Missions" since it's the largest mission in Texas. At its height, about 350 people lived in the community. The facade on the church, the Rose Window, is notable as it's considered one of the finest examples of baroque architecture in North America. 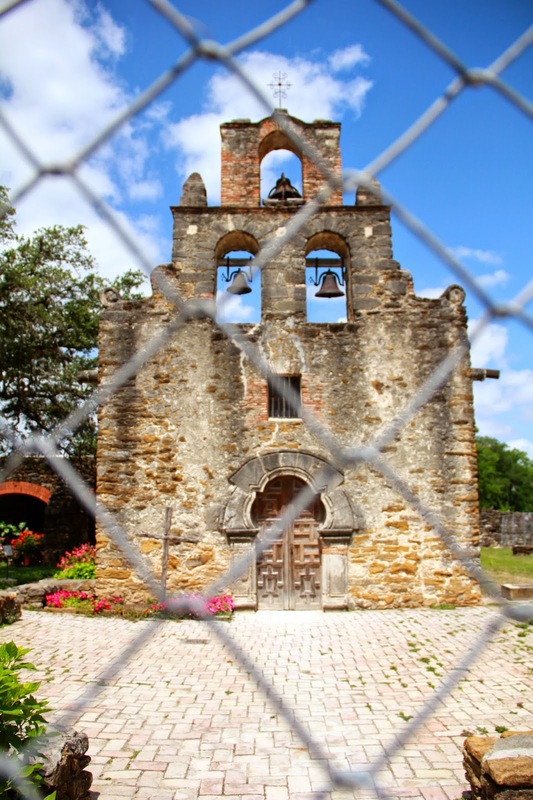 Our visit to San Antonio was a stroll through the evolution of Texas that also provided insight into its Spanish and Mexican occupation and the prominent missionary efforts to convert Native Americans to Christianity. To understand American perseverance is to understand the slogan, "Don't Mess with Texas." Also, don't forget about those damn delicious super tacos.